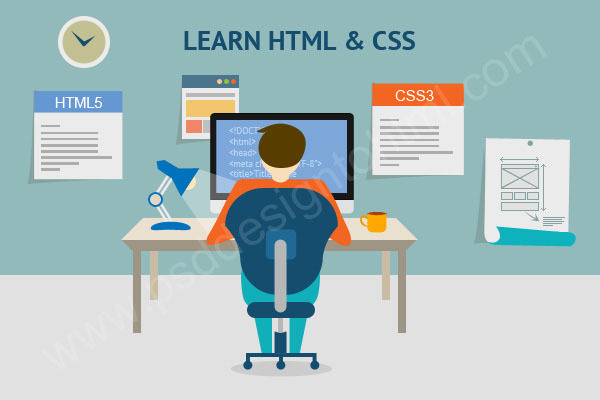 It has been already heard that those who want to be professional in HTML and CSS, each of them must learn coding. But if you are a writer, finance expert, marketer or nonprofit worker, you may think that why you need to learn coding. Well, it is truth that even a very little knowledge on HTML and expertise on CSS are able to make big difference in the career. In addition to, learning tech is not just for production assistants as well as print designer. Learning tech is also essential for those who are small business owners, sales managers, event coordinators, and also even magicians. Anyone can get advantage from the HTML and CSS. Before learning to code, one should at first review what is HTML and CSS exactly. The first thing you need to know that HTML and CSS both are the fundamentals of the web. HyperText Markup Language or HTML is one type of language which is used to explain about the each and every part of the website. That is why, using HTML, one can easily define, paragraphs, headers, images, links and so on. That’s how your web browser knows that how to organize a web page you are looking at. Cascading Style Sheets or CSS is the language which gives the web pages exceptional look and nice formatting. In the other words, Cascading Style Sheets is actually what you can utilize to make websites look good with the fancy fonts and rich colors, stunning backgrounds and slick animations as well as 3D effects. It is easy though. You may still wonder that how you are supposed to utilize the coding language in your job. Here are some of the wonderful things you could gain with some lines of those easy-to-learn languages. Everybody has already known that Email is turn becoming one of the greatest online marketing tools now these days. Moreover you are able to build an email so that your client and visitors of website will really hope for getting by styling and organizing it utilizing the CSS and HTML editors accessible with most of the email online marketing services. Reading the above you may have already impressed with all those elegant emails, now try to find the next level which is with newsletter template. Once again, CSS and HTML would surely be your secret weapons since you customize and lay out the templates to make it fit accurately with the corporate brand & style. Thing is, a very high percentage of the corporate sites are mainly built on the WordPress. In addition to it would be good news for you if you have knowledge on HTML and CSS for the reason that you may normally use them for adding the content and can also make several changes to the company website of yours. You may want to share HTML and CSS fonding with the colleagues and your supervisors. Then each one in your team would be capable of updating and improving the site, email, and newsletter. Developers in the working life would thank you when you will be able to understand the things related with CSS and HTM. You will gain knowledge on how to tell the developers what actually requires to be modified on the website of the company in addition to they need to be more conscious of limit and possibility they may face each and every day. Do you want to go away from your loving team and turn the passion inside you into your future profession? It is straightforward enough to build a Tumblr blog for showing off that you have been working on side hustle. If you wish for sending a stunning display of freelance photography and graphic design job to the hiring agency, only a little knowledge on HTML and CSS would create Tumblr templates so stunning. You can also go beyond the Tumblr blog as well as truly show some initiatives through coding online presence of yours from beginning art to finish. This may sound intimidating, but it is amazingly easy and simple to build an easy but awesome-looking website with fundamental HTML and CSS. In addition to, you will knock the socks off latent employers if you can tell them that you have done all of these on your own. Therefore you have already become Photoshop wizard! Now, you are able to build some remarkable site mockups. This sounds great! Just get CSS and HTML under the belt, and you will be capable of turning the mockup into real sites. That’s how you will become a designer of coding who every company will be looking for now and then. The author is an expert in the interactive tech-learning platform and working with psddesigntohtml.com and has made a lot of improvement to it. With the self-taught tech skill, especially on psd to html and css conversion, she has built websites for several small, medium and large corporate companies. I know html. What’s your suggestion for learning “a little CSS”?